KeyGuard Carabiner Pepper Spray Black. 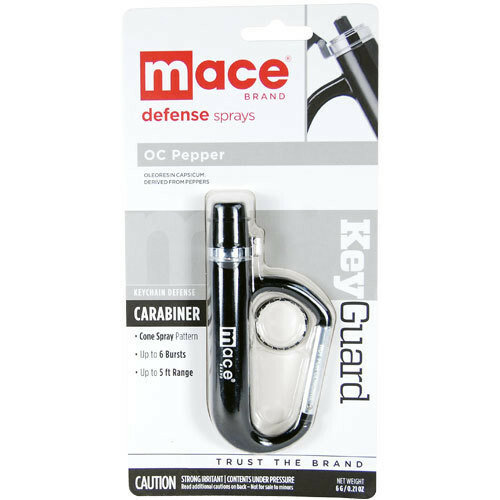 Mace Brand Carabiner pepper spray is ideal for carrying on your keys or backpack. A hinged safety cap opens to reveal the actuator button and an orientation tab allows you to feel when the unit is properly aimed. Refillable with Mace Brand Refill Unit.